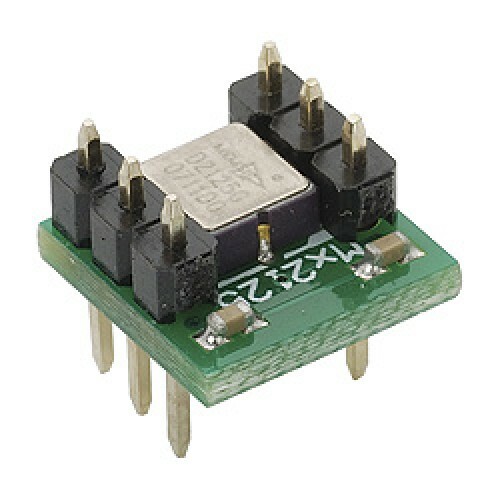 The is a low cost, dual-axis thermal accelerometer capable of measuring tilt, acceleration, rotation, and vibration with a range of ±3 g. For integration into existing applications, the Memsic 2125 is electrically compatible with other popular accelerometers. Memsic provides the 2125 in a surface-mount format,mounted on a through-hole providing all I/O connections so it can easily be inserted on a breadboard or through-hole prototype area. This type of sensor is commonly used in many smart phones and digital cameras as a cheaper means to ..